How many washes does it manage before you need to top it up? Wired in my recently acquired internet. Who is this available for? I can get FTTP through BT but I can't get this. I take it they don't use the openreach FTTP network? All I know is the City Fibre dug up all the paths around here to run new cables. When Vodafone installed my line they ran a line under my drive to my house and drilled a hole for a new plate. Vodafone have the exclusivity on this apparently. I can't say I entirely disagree though, these things seem like such a waste of time & space. 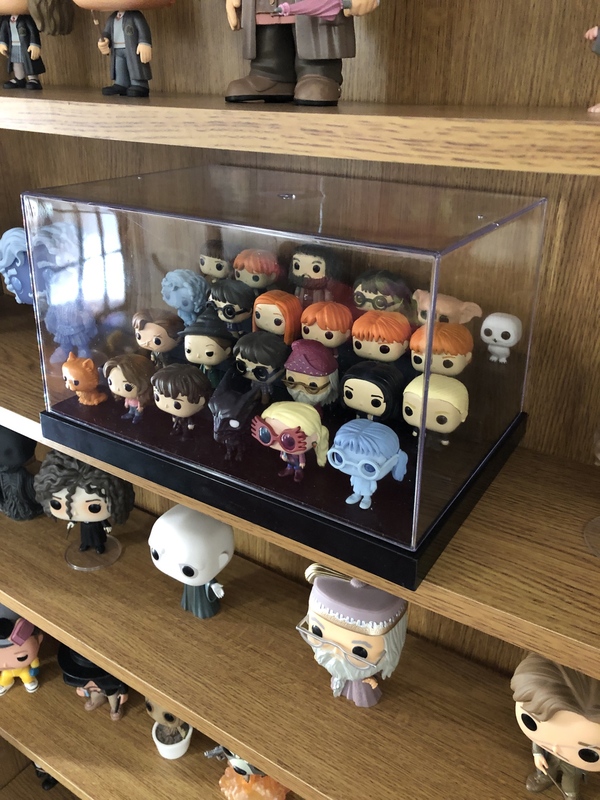 Collected Funko POPs for years, we buy each other a couple for birthdays and Christmas. Yep. I have no idea how thse things have become so popular but their marketing department are amazeballs. It's a plastic doll with no moving parts, no sounds, nothing other than a big head. If I was a kid and someone gave me one you can bet your bottom dollar it'd be at the bottom of my toy chest. We're with CityFibre (via a business ISP) and we pay £320pm for gigabit, so those speeds/price are great, if not limited availability atm (Edinburgh right)? **** like this makes me sad. We don't even have a date for basic fibre here, and I live in a city not the sticks. Don't worry BT wants to hang on to their copper network for another 100 years at least. Don't expect FTTP in most parts of the country until someone else does it. Heck they don't even want to do FTTC unless the government offers them massive incentives/subsidies. New build. It was fun cramming everything into this mini ITX case.